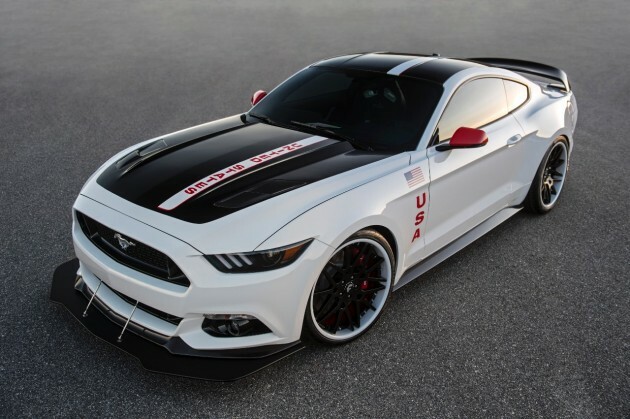 For the last several years, Ford has put together a special edition Mustang based in some capacity on an aerospace innovation and put it on display at the annual AirVenture festival with the ultimate intention of putting it up for auction. This year, the Apollo Edition Ford Mustang served as an homage to NASA’s Apollo Program, and it wound up fetching a price that was…dare we say it…out of this world. Oh, we dared say it. The Apollo Edition Ford Mustang was sold at auction during the annual EAA AirVenture Oshkosh for the whopping sum of $230,000. All proceeds will be put towards helping EAA’s youth aviation programs, which help to grow interest in things like science and space exploration in our nation’s children. As far as quarter-million-dollar Mustangs go, there aren’t many better looking or more powerful than the Apollo Mustang. We’re guessing that the lucky lady or lad who purchased this one-of-a-kind piece is over the moon.